An hours pitch hire for just £20 throughout the Easter Holidays 5th - 22nd April 2019! Round up your friends, family, work colleagues and head down to Ash Manor Sports Centre for a kick about. Offer available during Off Peak sessions only, does not include Floodlights. Call us on 01252 325484 for bookings. T&C’s apply. 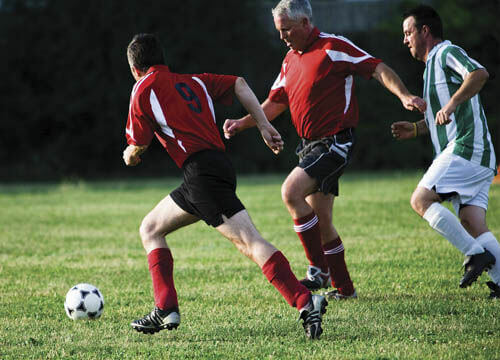 Ash Manor Sports Centre have some of the most state-of-the-art 3G pitches in the region. The recently refurbished four floodlit 5-a-side pitches are available for casual one-off bookings, regular block bookings and league games as well as a full-size football pitch.The sports centre grounds are perfect for community events, fairs and other sporting activities. A multi-functional, full sized, football and hockey all-weather pitch, divides into 4 quarters for 5-a-side and is available to hire. The 3G is fully floodlit so is available all year round.